Next week, the House Business and Utilities Subcommittee will hear a bill to preserve homesharing in our state. Many Tennesseans have expanded their economic horizons by renting out their home to visitors using services like Airbnb and VRBO. Likewise, many tourists can now afford to stay in places like Nashville that might otherwise be out of their price range, especially given that hotel rates in Music City are now higher than Manhattan. Sadly, some cities have become hostile to homesharing, primarily due to the lobbying of the hotel industry. This has led some cities to ban homesharing outright, while others are headed in that direction. 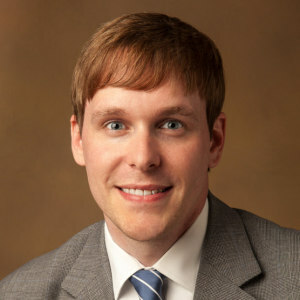 These actions are protectionist, they limit economic opportunity for younger and less affluent homeowners, and they violate the constitutional rights of Tennesseans. That’s why it is important for the legislature to step in and set reasonable limits on local governments’ ability to restrict homesharing. Recent studies have shown that homesharing boosts local economies. 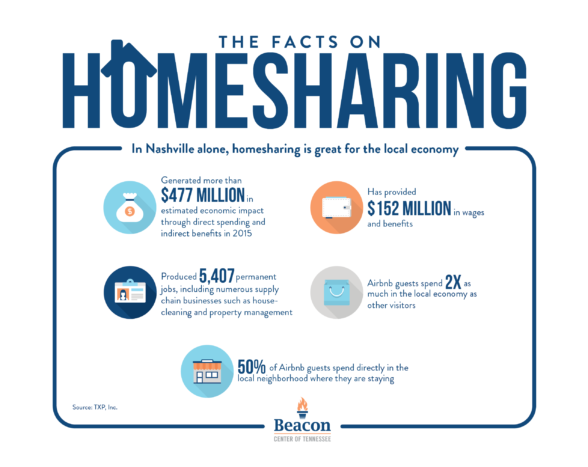 As the graphic below outlines, in Nashville alone, homesharing has been great for the local economy and the people working in it. Data from homesharing services also proves that those who rent out their homes are able to better provide for their families. 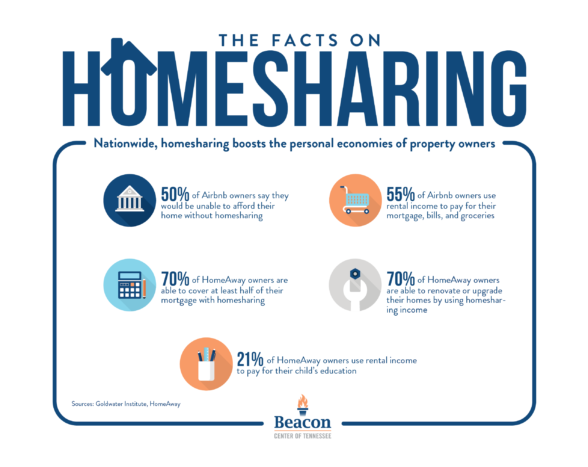 Homesharing allows them to not only cover a portion of their mortgages, but also renovate their homes, pay for other things like groceries, and even save for their children’s education. Despite the evidence of the benefits of homesharing, the hotel industry sees this growing activity as a threat and has lobbied to severely restrict people from renting out their homes short-term. But the government doesn’t exist to protect one class of people over another. It certainly doesn’t exist to protect a well-funded, well-connected industry by trampling on the rights of regular property owners. That said, local governments should maintain the authority to prevent noise, nuisance, trash, and other codes violations that threaten neighbors’ quiet enjoyment of their own property. The bill before the legislature does just that. It sets limits on local government’s ability to unnecessarily restrict homesharing at the behest of the powerful hotel lobby. But it allows local governments to regulate homesharing in an effective, appropriate, and most importantly, constitutional manner. It’s a good bill, and one worth keeping an eye on this legislative session. You can follow the bill’s progress here. The hotel industry has teamed up with affordable housing advocates, unions, and “other progressive entities” to shut down its competition.